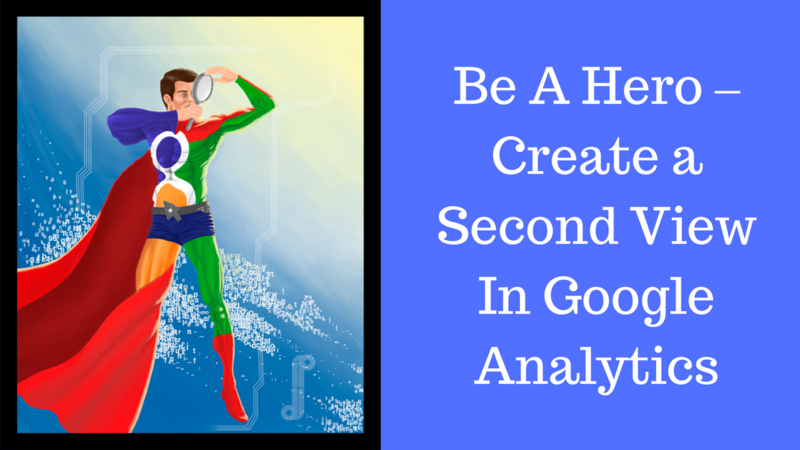 I am amazed at how many people nowadays don’t have a second view in their Google Analytics (GA) account. It’s true I’ve never seen a proper GA tutorial about setting a second view and most of all the great importance of having one, but still, it’s kind of logical don’t you think? Let’s call the default view created by GA “raw view” and let me write this down in capital letters: One day when you least expect it everything in your GA account gonna go nuts and the “raw view” gonna save your day from a data disaster. And you gonna be very thankful to Omi Sido. You may even pop in and buy me a beer. Everything started a week ago when two non-related companies asked me to comment on some strange anomalies in their GA accounts after setting up some filters a while ago. So my first question: Shall we compare the data to the “raw view”. No “raw view” or “second” view is their answer. So my second question: “What?!”. How the “raw view” gonna save your company from a data disaster. The “raw view” is the one sitting quietly in the background of your GA account (never ever touched), collecting information and waiting to become a hero when the other views (did I say that some colleagues would even create a third view for some extreme situations) crash down. For example and in connection with the story above – you gonna need this view when setting up filters. Only by comparing to the “raw” view you are going to be able to check whether the difference is trustworthy and whether you have to re-do your filters. Quick logic here: How do you even know if your filters are working they way they are supposed to if you don’t have two views?! How to set up your “raw” and “second” view. By default when you set up your GA account you are presented with the default view or in the words of GA – “one unfiltered view for every property in your account”. Never add or delete a filter to this default (“raw” as I call it) view. When you add a filter the data you exclude becomes unavailable for this view, hence only add the filters to the other views. Logically when you delete a view the historical data in this view disappears forever. Although you should not set up filters in the “raw” view you can set up goals there. Despite not being harmful I wouldn’t do that, as you probably don’t want to have your goals in a view that you don’t visit that often. One very important note here: It is not possible to import historical data into the new views. “Creating a new reporting view will provide you with unfiltered access to all data collected by the Tracking ID.” If you rather make a copy of existing view than all the goals are copied over to the new one. Again in both cases – no historical data(!). The technical part of the process is rather simple. You just go to Admin, View and in the drop-down Create a new view. Give it a meaningful name and also for the sake of security rename the default view to something scary – “Raw View- Do not touch or I will kill you” – for example. What to do if you only have only one view now: for a start don’t panic- you are already doing something right by reading this article, so the easiest thing to do is copy the existing view, rename it to using the “convention” above and clear it from all filters. The copy of the existing view, in my opinion, should have today’s date in the name as like this you gonna know exactly when created. Don’t forget all the goals and filters gonna be copied over so you don’t have to worry about them at the moment. Now enjoy the moment. You are a future hero.